Valeros must face off against his dearest friends to protect the soul of a man he barely knows. What is the cost of victory? And how can the price of defeat be even worse? 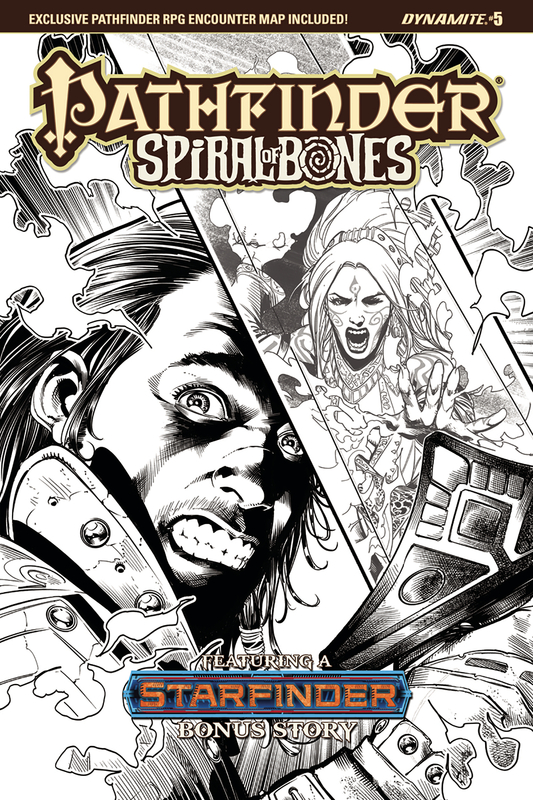 The Spire of Bones story concludes in this tale written by Pathfinder developer Crystal Frasier with art by Tom Garcia (Mercy Thompson, Pathfinder: Hollow Mountain). Contains a Starfinder backup story, a Pathfinder RPG rules appendix, and a bonus pull-out poster map!